There seems to be a recent trend of Lagos residents moving from the Lekki area of Lagos Island to the Ajah area and most people are wondering why this is the case. 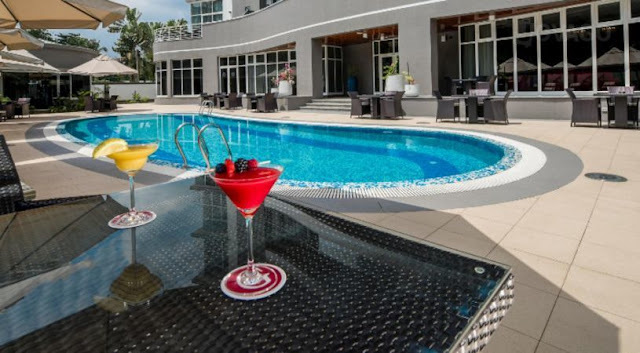 Yes, Lekki seems to be “prettier” than Ajah and it accommodates a certain kind of residents, but frankly, if you are based in Lekki because you want a better quality of life or you think it's just a better area to inhabit, well, maybe we can make you reconsider. Jumia Travel share 5 possible reasons Lagosians are now moving from Lekki to Ajah. It is no secret that Lekki is a high brow area and so it accommodates some of the most expensive properties in the state. The rent is extremely high and unless you have a blue-collar job, you will be renting forever and struggling to make ends meet. Ajah, although not as cheap as areas on the mainland, offers various options way cheaper and affordable. When it comes to cost of living on the island and peninsula area, Ajah is top because of the area's relatively low cost of living, including consumer prices, utilities and transport costs and, most importantly, house rent. There is easy access to local markets, and people who live there have a better shot at getting some of the things associated with middle-class life. Lekki may seem fabulous, but they regularly battle with an inadequate power supply issue. Ajah on the other hand has better power supply and so, you are not forced to spend a lot of money on fuel or diesel for less electric bill. Unlike the people who reside in the Lekki area, the Ajah residents are unpretentious and down-to-earth and basically the people are easy to get along with. There is no silent competition among the residents as regards affluence or status. People live their lives normally basically. Because of its good-value housing, Ajah has been particularly popular with families. You have access to reasonable mortgage and pretty good schools. Also, restaurants are invariably family-friendly.